When miners dig up the Yana Indians' sacred burial ground, the tribe goes on the warpath. And after a couple of deputy sheriffs are found with so many arrows sticking out of them they look like porcupines, the miners grab their guns and axes. 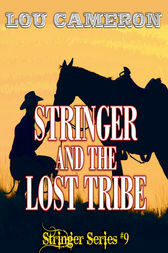 Even a little Indian war is big news in the fading days of the wild West, so Stringer rides out to investigate. But something just ain't right. For one thing, the arrows that killed the deputies are not Yana arrows. And the varmints who dug up the Indian graves aren't miners. Somebody has a stake in stirring miners and Indians up into a killing frenzy…and Stringer aims to find out who!